Since the Neolithic period, bread has always been treated with respect and constituted an integral part of people’s lives. Its persistence over epochs and changing habits, across cultures and geographical coordinates, has made it a significant and valued product. Bulgaria is the biggest consumer of bread in Europe (according to data from an industrial survey conducted by AIBI (International Federation of Plant Bakeries) that includes 15 countries, 12 of which are EU members)), with an average of 95 kg of bread per person annually. Efforts towards a healthier lifestyle have given rise to new trends in bread production. This includes the introduction of more sophisticated technologies and new recipes with varied ingredients, shapes and storage methods. Our country is used to warm, white and cheap bread. But the complex processes of preparation, packaging and delivery remain hidden to the consumer. Freshly baked bread requires strict planning of production and logistics. It must be dispatched to the retail network no more than an hour after being packaged. This is product that cannot be kept on stock. Instead, new batches must be delivered several times a day. To avoid spoilage, bread has to be produced according to carefully prepared plans. In spite of this, wastage is unavoidable and that is a negative indicator even though only a small percentage of bread ends being thrown away. Therefore, frozen bread seems to be a better and more flexible alternative to wastage. This kind of bread is partially baked and then rapidly frozen to -40°C, packaged and delivered to the retail network. The frozen product is transported and can be stored at – 18°C. It is baked on-site in convection ovens. 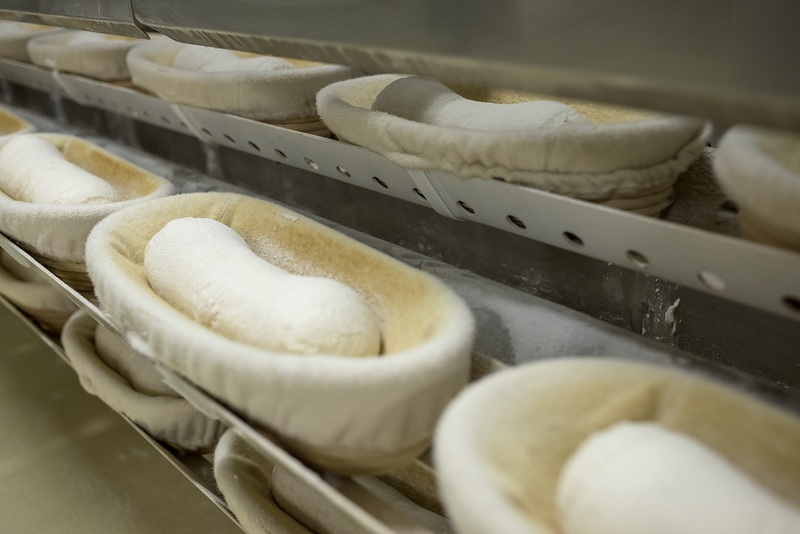 Frozen bread actually has a history stretching all the way back to the beginning of the last century. Just after the First World War, technologists and scientists started to experiment with methods of preserving bread for longer in order to control supply and availability. However, their proposed solution was too expensive to be feasible. Thus, their efforts were discontinued and the matter remained forgotten for the next 40 years. But technological developments and the appearance of new demands necessitated the resumption of experiments in that area. The booming Las Vegas of the 1960s, with its huge hotels, constantly needed to be restocked with fresh food and drink. Clever solutions, including freezing bread, were found to prevent logistical problems in the supply chain. The know-how acquired in Las Vegas was quickly transferred to Europe. In the 1970s and 1980s, Bulgaria also launched a production facility in the Haskovo region that used a similar method. However, frozen foods need to be distributed in refrigerator vehicles, which our country did not have at the time. Even though ice was sprinkled around the goods, they reached their destination defrosted and damaged, so this industrial mission was abandoned in 1985. In Bulgaria, the Simid brand is the leader in the bread production sector. Its branded packaging is very recognisable and its products can be found everywhere thanks to a combination of three main success factors: quality, price and ubiquity. The Simid Group has factories in Sofia, Pazardzhik, Plovdiv and Velingrad, and distribution facilities in Burgas, Varna, Veliko Tarnavo and Velingrad. 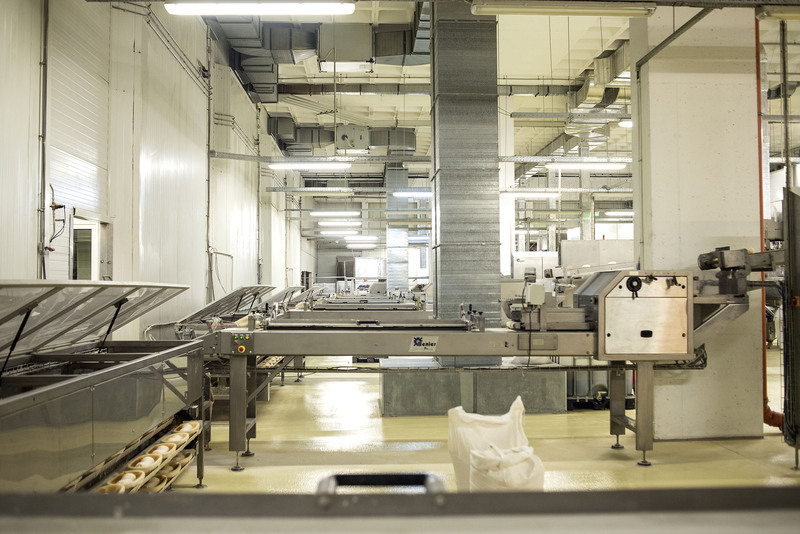 Particularly impressive is its production facility in the capital, where seven conveyor lines prepare the freshly baked bread that is most popular on the Bulgarian dining table. 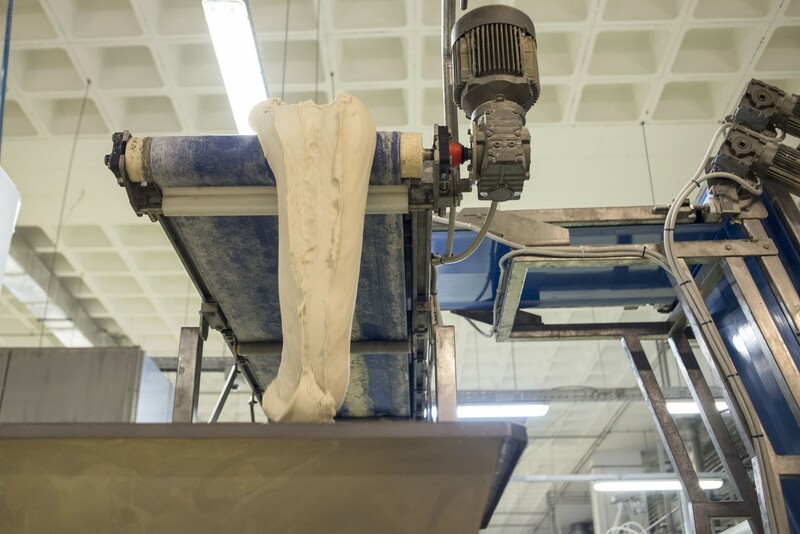 The bread comes out sliced, uniformly sized, in high quantities (20,000 loaves per hour) and at affordable prices. In fact, the prices are not proportional to the complexity and precision of the machines used to make it. The factory is fully automated and the number of staff is minimised, mostly consisting of technologists and drivers. The bread is not touched by human hands throughout the technological process. 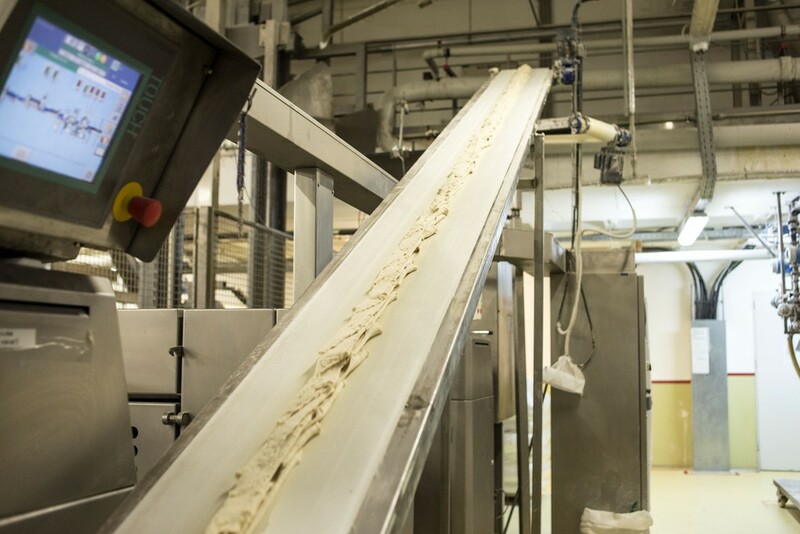 After around 20 years of working in the sector, Simid’s owners decided to launch their bravest and most ambitious project yet: a factory for frozen bread products that would be a true masterpiece in the sector and could boast of excellent energy efficiency, a 24/7 production cycle and exports to all of Europe. Their confidence of success was based on the fact that they pioneered this technology in Bulgaria, having started their experiments all the way back in 2005. The Regional Urban Development Fund also believed they would succeed. The fund manages financing under the JESSICA programme allocated for the development of the urban environment in big Bulgarian cities. The programme was set up to support the development of industrial zones and, in particular, the reclamation of abandoned or not fully utilised areas in those cities. 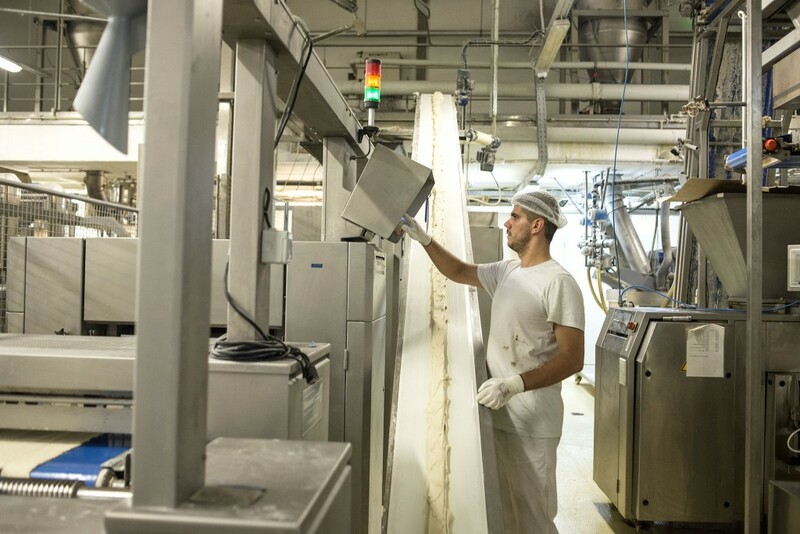 The fund also assists the development of innovative industries – for example, the Simid factory for frozen bread products – that create sustainable jobs, improve urban infrastructure and minimise the use of limited resources such as electricity and drinking water. JESSICA’s favourable terms encourage entrepreneurs to invest now, despite the economic crisis and general financial uncertainty. 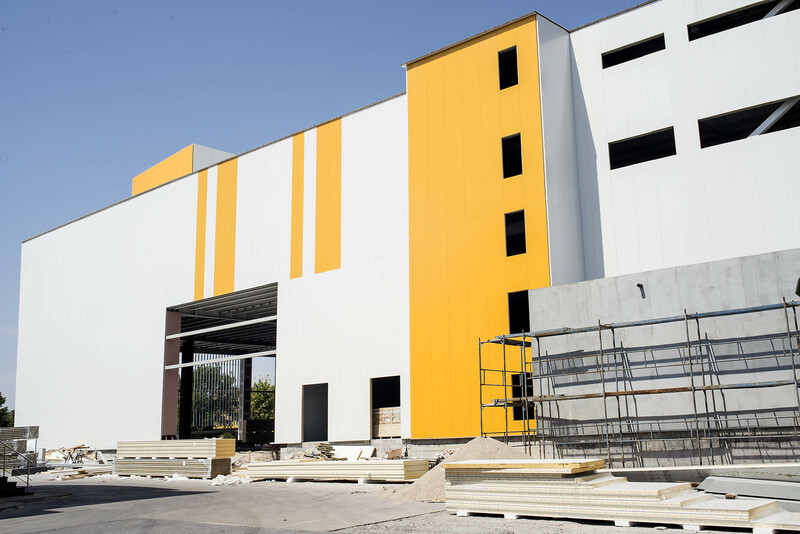 The new production floor being built by Simid is located in the industrial part of Plovdiv, not far from the city centre. It stands tall over grounds previously occupied by warehouses and looks like a giant box with several holes. The architectural design was completely determined by the production process, which moves from the top to the bottom. Our tour begins from the refrigeration chamber at the factory’s lowest level, amidst noise generated by construction work and forklifts transporting materials and the roar of machines which are erecting supporting walls and arranging structural components of the warehouse. 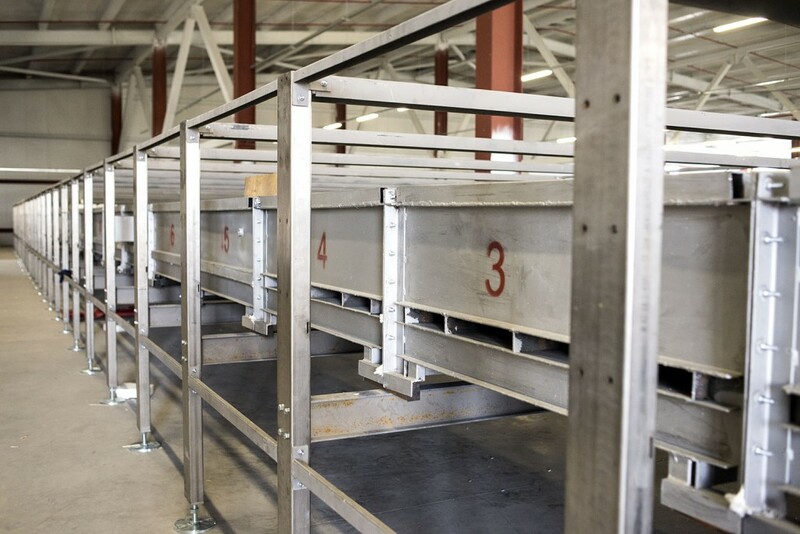 One side of the premises is designated for loading bays for trucks that will carry the finished product. The temperature here will constantly be kept below zero. The products will enter through 8 lines, which will be serviced by shifts of 8 workers. The pipes that will fill the silos with flour can be seen at the most distant end. Several trucks loaded with flour will pass through here every day. The packaging hall is located next to the refrigeration chamber. The shock freezing chambers are a little after it. In one corner, there are well wrapped brand new box packing machines that will fully automate this part of the process too. Several freezing technologies are used. The most common one will be applied at the new Simid facility in Plovdiv. The bread will be frozen after par-baking, i.e. the leavening will have been completed, the loaf will have been partially baked and the crust will have set, but the bread will have no colour. The equipment at the facility also allows other freezing methods, if the client requires them. We head up to the upper floors, where the actual bread preparation takes place. The refrigerating machines are installed on the intermediate floor. The office spaces are located above it, with six offices for the administration. There are also bathrooms for the workers and technical staff, who must pass through there before putting on special clothing and starting work. At the far end of the top floor, one can see installed equipment used to knead, leaven and feed the dough to the ovens. The structure is part of the first of a total of five conveyor lines. After baking, the bread begins travelling along the lines until it enters the shock freezers. The production cycle is continuous: 24/7. 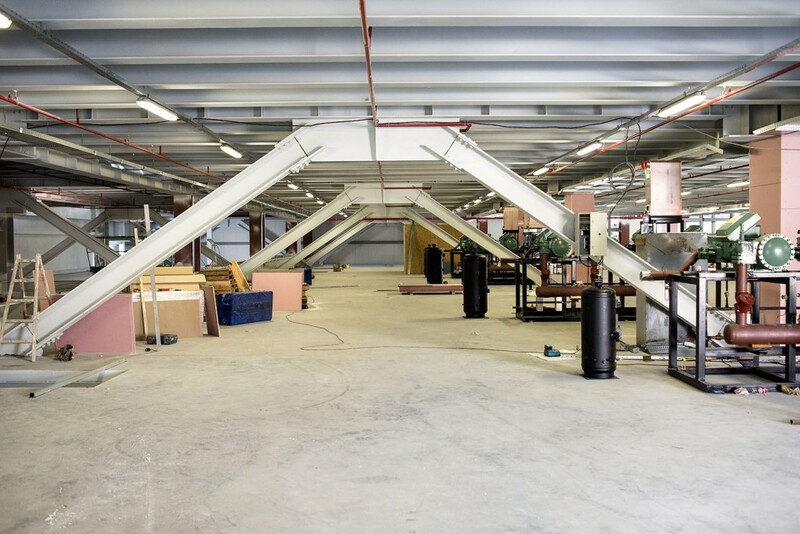 The entire facility consists of many components: raw material feeding system, kneading system, dough separation and shaping system. Afterwards, the dough rests for a while and is then put in industrial scale trays. The final leavening must take place in optimal conditions (humidity and temperature). It is followed by baking, shock freezing, removal from the shock freezers and packaging within seconds to avoid damage to the product. The fully automated process makes Simid’s production facility highly effective not just in terms of time and quantity, but also quality. This is so because it is precisely the machines that ensure the product is homogenous and consistent. Rumen Dimitrov, Director of the new factory for frozen products, said that, since 2005, he and his associates have attended the biggest trade fairs in the sector to meet with machine manufacturers and fit out their facility with the best equipment on the market. 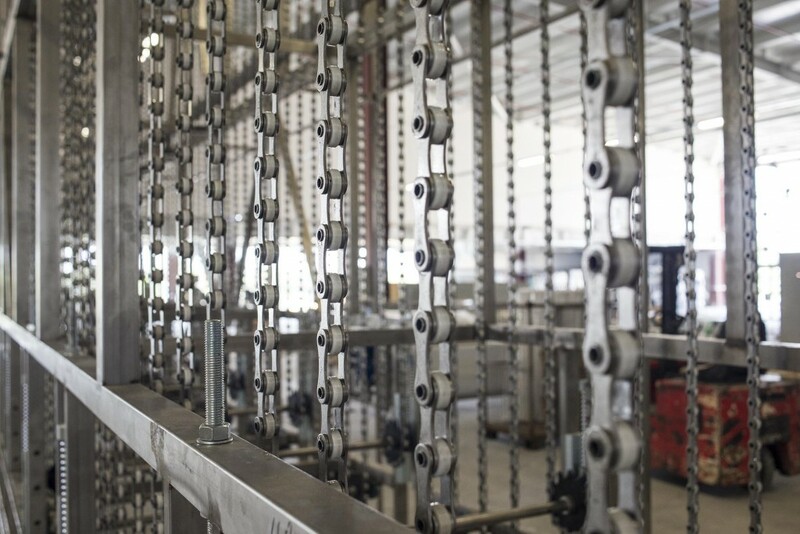 Part of the factory’s energy efficiency is attributable to the system used to capture heat from the refrigerating machines and run that heat through water, so it can be used in the steam generators and the showers in the bathrooms. This system was tested for the first time at Simid’s factory in Sofia. The facility’s output will meet the needs of customers and large supermarket chains by offering ordinary white bread, whole-wheat bread with or without seeds, baguettes, triangular buns, rolls, ciabatta bread, etc. In terms of complexity, equipment and efficiency, Simid’s new facility is a rare sight even in Europe and the only one of its kind in Bulgaria. The investment amounts to more than EUR 20 million. Of them, the Regional Urban Development Fund and Societe Generale Expressbank have granted an eight-year investment loan of more than EUR 17 million; the money under the Joint European Support for Sustainable Investment in City Areas (JESSICA) through the Regional Fund comes to BGN 11 million; and the bank partnered with it is providing co-financing of EUR 11.5 million. The new building is on three levels and has total floorage of almost 15,000 m2. 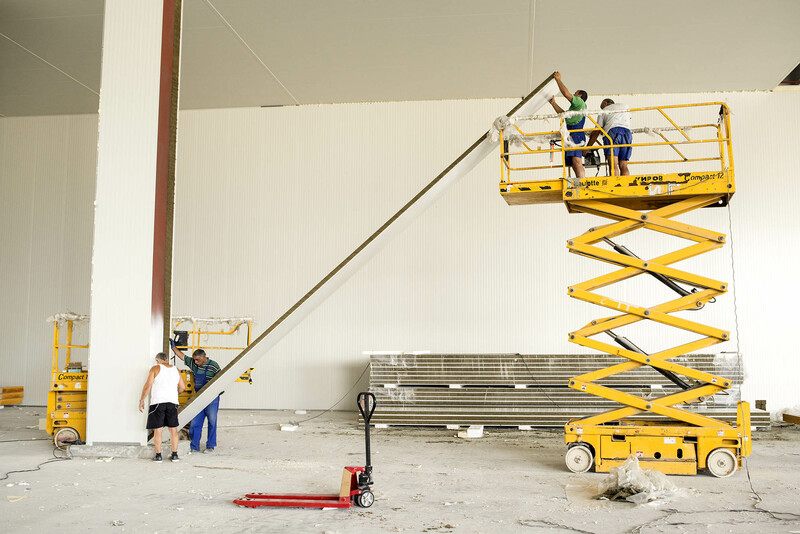 The capacity of the warehouse is equivalent to 100 fully loaded trucks. The factory employs 270 people. Its construction began on 23 November 2014. 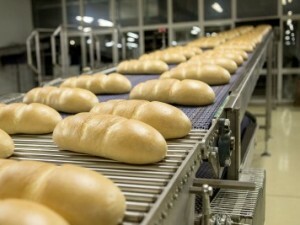 The factory offers the full range of bread products: small loaves (50-100 grams), Kaiser rolls with or without a stamp, rolled baguettes (100-300 grams), i.e. all shapes, sizes and recipes. The factory supplies all major chains that have hot display cabinets and convection ovens for on-site bread breaking, both in Bulgaria and throughout Europe.